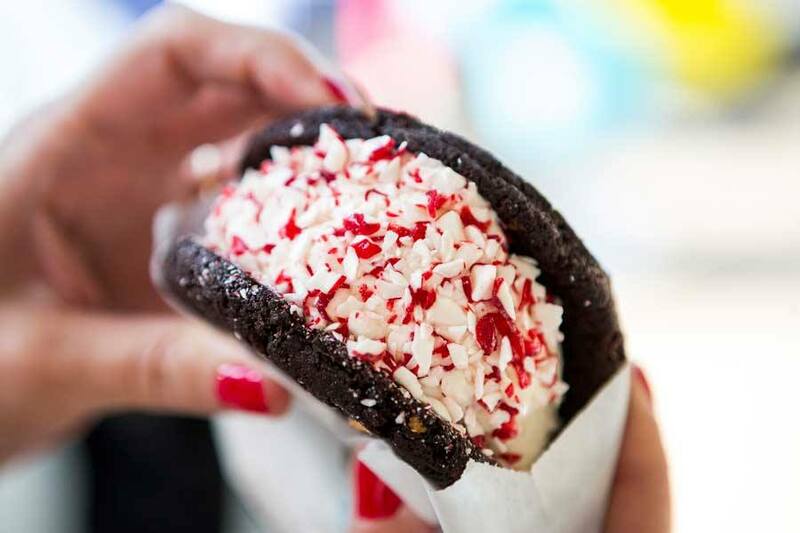 FREE ICE CREAM SANDWICHES @ CREAM - IRVINE SPECTRUM - EAT WITH HOP! BEHOLD! THE COCA COLA FLOAT WITH OREO ICE CREAM! 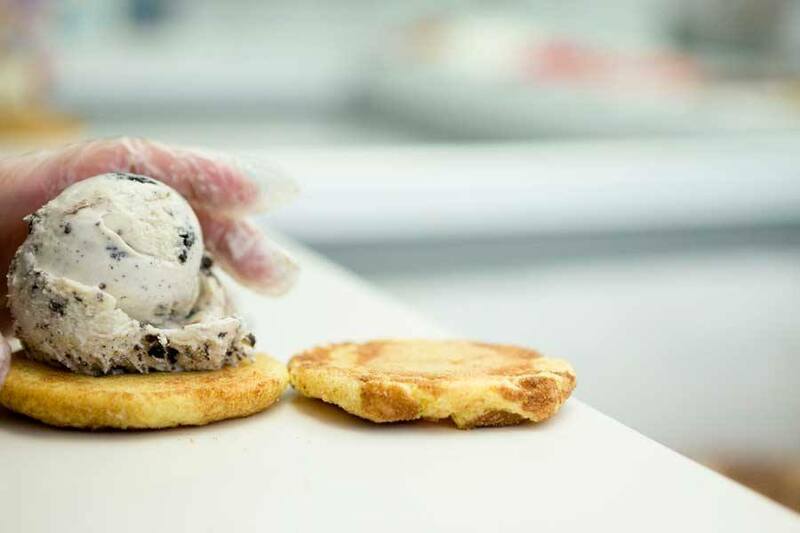 WHO DOESN'T LOVE ICE CREAM PERFECTLY SCOOPED AND SANDWICHED BETWEEN TWO SOFT COOKIES BAKED IN-HOUSE?! ESPECIALLY... WHEN THEY ARE FREEEEEEEEE! 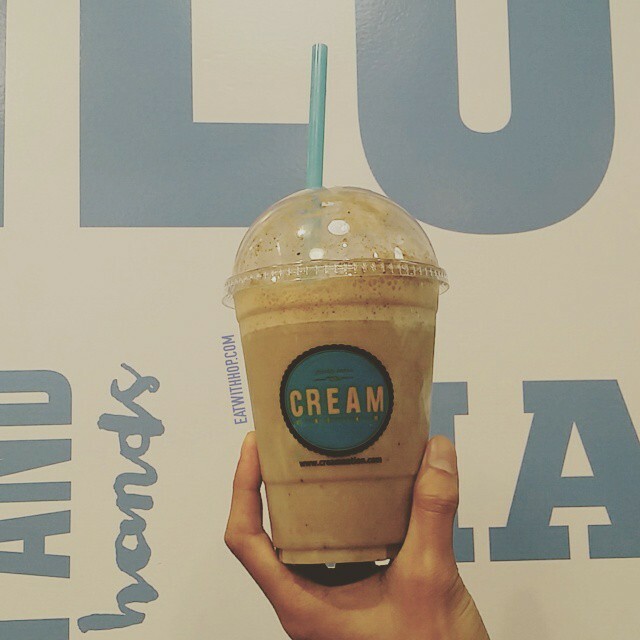 CREAM is opening a location at Irvine Spectrum and their grand opening is Friday, June 19, 2015! I'm so excited because I've been wanting to try this. I heard it's popular in Norcal! I tried the newly opened CREAM in San Diego last night and I have to say, it is pretty good! I had the Coca Cola Float with Oreos Ice Cream. They give you the entire Coke can too so you can pour it in as you go. I sampled some ice cream and I'd have to say I never thought Soy and Mint would go so well together. There was a Soy Mint Chocolate Chip Ice Cream flavor and it was really different and good! The Green Tea flavor was also good. This one tasted like the Thrifty Brand Green Tea (really milky and sweet) except it has more of a Green Tea kick to it. I think they have a pretty good selection of flavors but other than the two mentioned (Green Tea & Soy Mint) I think the taste is pretty standard. At least it's not overpriced for standard cookies + ice cream! 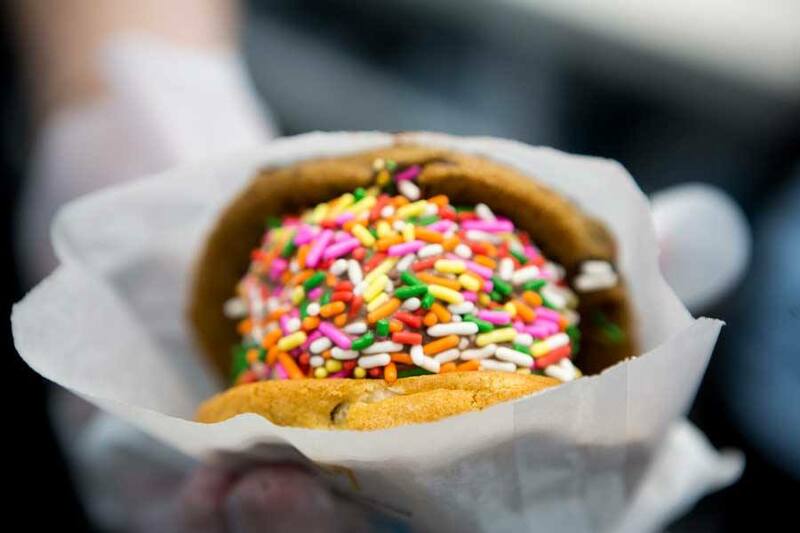 You can get a good scoop with cookies for around $3!